Over the past 18 months, many of our patients have asked us, “What happened to the newsletter?” We wanted to take the time to rethink how we’re communicating with patients and friends of the International Center for Spinal Cord Injury at Kennedy Krieger Institute. Based on your feedback and best practices for communicating, we’re excited to announce: The newsletter has gone digital! This is the first issue in the new format. More concise than previous newsletters, it contains short features and relevant news from both inside and outside the center. 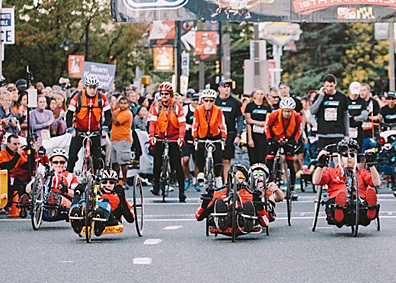 The real benefit of this new format is that we’ll be able to send it more frequently to keep you up to date on the latest in spinal cord injury news. We hope you’ll enjoy this new format, and we look forward to your feedback. Join us for our monthly spinal cord injury/disease education group called Regeneration Generation. 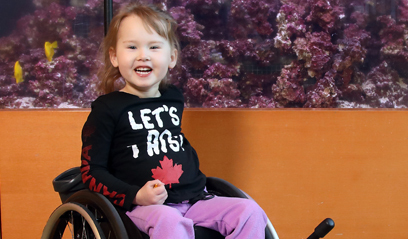 Every month, we tackle a new spinal cord injury topic with a presentation followed by a discussion. 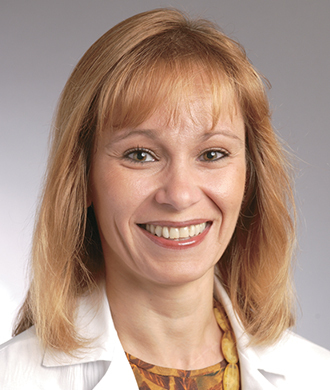 Topics include home modification, fitness and exercise, pain management, driving rehabilitation, returning to school and work, sexual functions, preventative care, wound care, and much more. Meetings take place on the fourth Tuesday of the month, starting at 12:15 p.m. in room 202 of 801 North Broadway, Baltimore. There is no charge to attend, and lunch is provided. This group is open to anyone living with paralysis, and to their family members, friends and caregivers. No meetings are held in November and December. Please contact us for more information about upcoming dates or topics, or to RSVP for one of the sessions, at ICSCIsupport@KennedyKrieger.org or (443) 923-9468. Join or cheer on Team Kennedy Krieger! Visit KennedyKrieger.org/BRF for more information on how you can be a part of this great event. 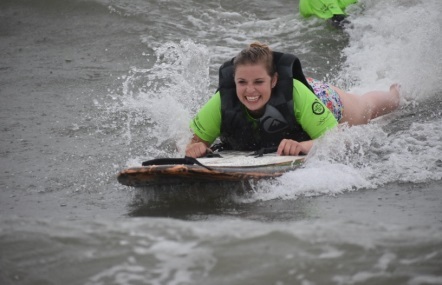 Head to Virginia Beach for a fun day of adaptive surfing. This event is free-of-charge, and is for individuals of all ages and abilities. Contact Katie Ivins at Ivins@KennedyKrieger.org for more information. This educational event brings together the expertise of physicians, researchers and therapists to focus on the latest treatments, groundbreaking research and emerging trends across the continuum of care for individuals with chronic or acute spinal cord injuries or spinal cord dysfunction. Stay tuned for more details. As part of its mission to innovate and provide “hope through motion,” the International Center for Spinal Cord Injury now offers patients a new tool for rehabilitation: virtual reality. Patients are using virtual reality in therapy sessions as an adjunct to care. Virtual reality allows individuals to experience underwater diving, sky diving, walking in the woods, flying in a fighter jet and more, all without leaving the gym. Virtual reality-based therapy can improve balance and functional mobility while providing an enjoyable environment for therapy. Visit KennedyKrieger.org/ICSCIAdditionalPrograms for more information about our therapies and our wide range of specialized medical and therapeutic services. 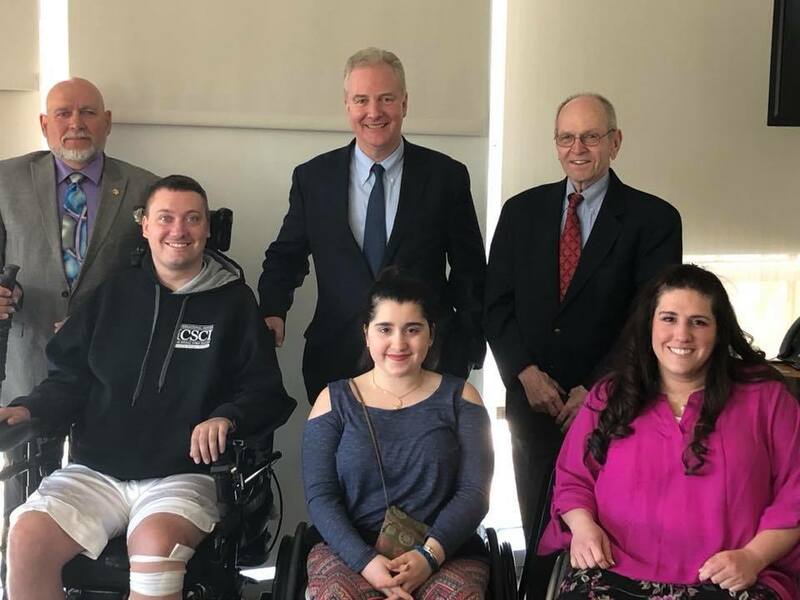 Maryland Senator Chris Van Hollen toured Kennedy Krieger Institute’s International Center for Spinal Cord Injury on April 30, meeting with patients and staff members and observing the innovative therapies the center uses to treat patients with various spinal cord injuries. Senator Van Hollen also participated in a town hall discussion with patients, their families and healthcare professionals to discuss the country’s healthcare system and how current policies impact patients and the care they receive.